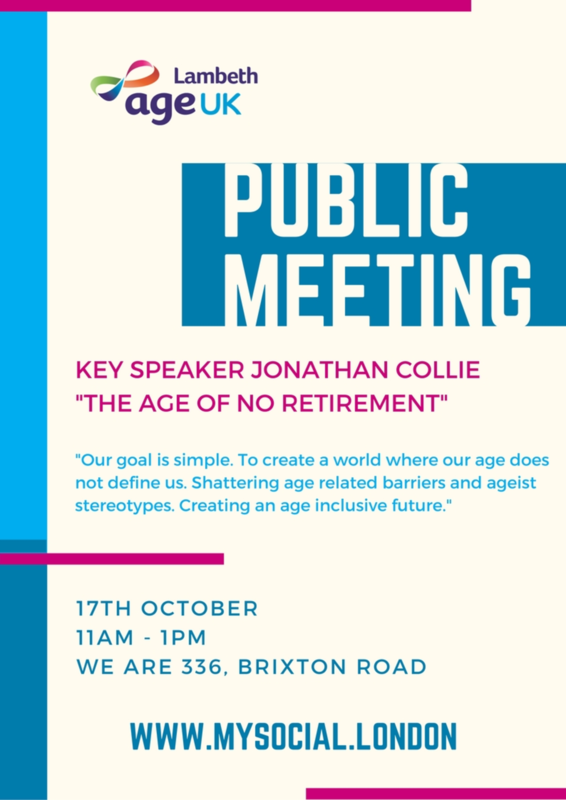 That's the title of the talk being given by this year's Guest Speaker, Dr Jonathan Collie, co-founder of The Age of No Retirement. In today’s world, the labels of ‘age’ and ‘generations’ that have for many years been used to understand who we are as people, have become increasingly irrelevant. In fact, they have become downright dangerous. They undermine our sense of self-worth, cause division in our society and they hold us back. The Age of No Retirement is a movement for social change, and a great deal more. We are part design lab, part research unit, part network and part storyteller. We are also full-time collaborators, and 100% committed to creating a world where our age, and how many birthdays we have, no longer matters. We work with corporations, small businesses, the media, government, third sector organisations and people of all ages and backgrounds to create products, services and environments that challenge the boundaries of age and that work for all of us — however young or old we are. We facilitate debate and discussion around the value that an intergenerational society brings to us — as citizens, as consumers, as workers — and the positive impact this has on the products and services we interact with every single day. Jonathan is a passionate social entrepreneur. The greater the challenge, the greater the opportunity. Jonathan began his career as a doctor in the NHS before moving into health IT via an MBA at the University of Edinburgh. In 2011, Jonathan entered and won a national challenge, run by the Design Council and funded by the Department of Health. It was here that he was first introduced to design-led thinking and came to appreciate that every problem, no matter how large or complex, could be solved by design and innovation. In 2014, Jonathan launched Trading Times – the online service that connects people over 50 with local employers for flexible, paid work. As a direct result of insights gained through the prototyping, piloting, developing and launching of Trading Times, Jonathan became committed to changing the narrative of Age, from one of dependence and decline to one of exploration and optimism. Jonathan was born in London and grew up in South Africa. He lives in London with his wife Robinne, daughter Ruby, and son Tyler. And following Jonathan, we invite you to join us for lunch! * For more information regarding media usage, ownership and rights please contact Age UK Lambeth.